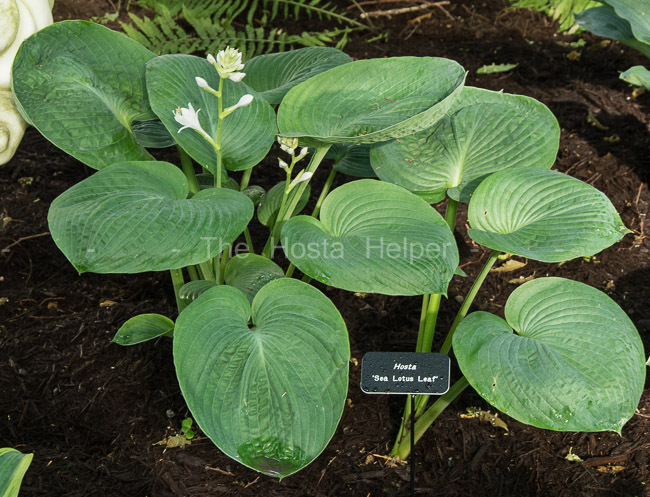 Part of the "Sea Series" of hostas, this slow growing plant was registered by Mildred Seaver of Massachusetts in 1985. It is an open-pollinated seedling of H. 'Wagon Wheels' that has cupped foliage and near white flowers with lavender petal stripes that appear from June into July. 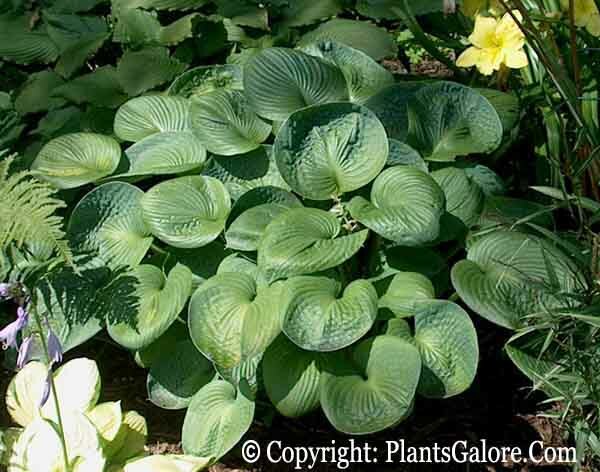 The large size (25 inches high and 60 inches wide) plant has moderately corrugated leaves with thick substance.